The Jason sofa bed from Softline combines attractive design with the practical functions of a sofa bed. 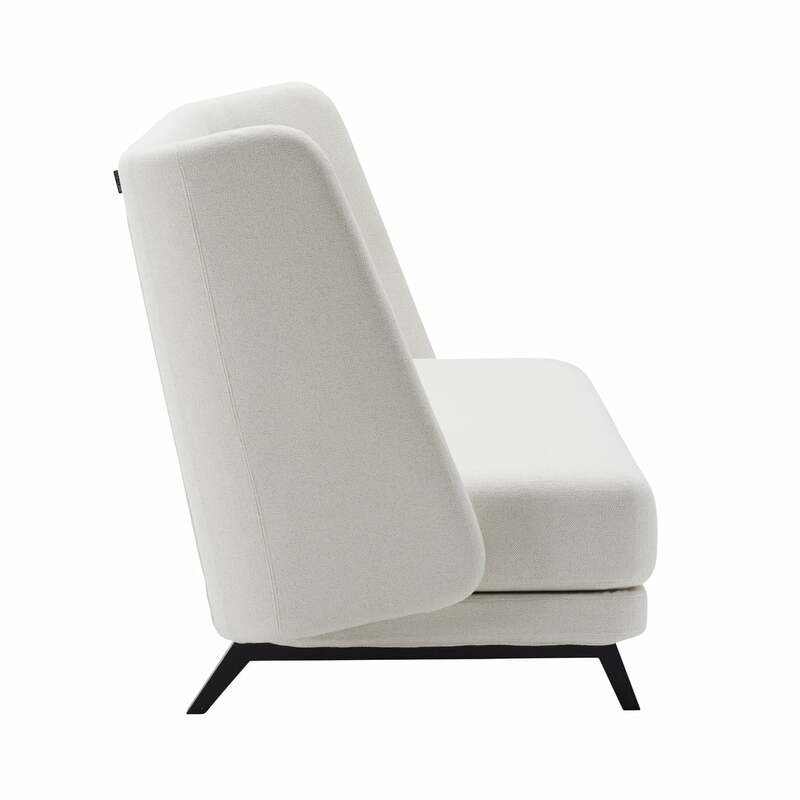 The sofa was designed by Busk+Hertzog. It convinces with its high back, rounded corners and a mattress with soft edges. The sofa creates an intimate and cosy atmosphere. It looks good in the living room, in the lobby of a hotel or in the guest room. 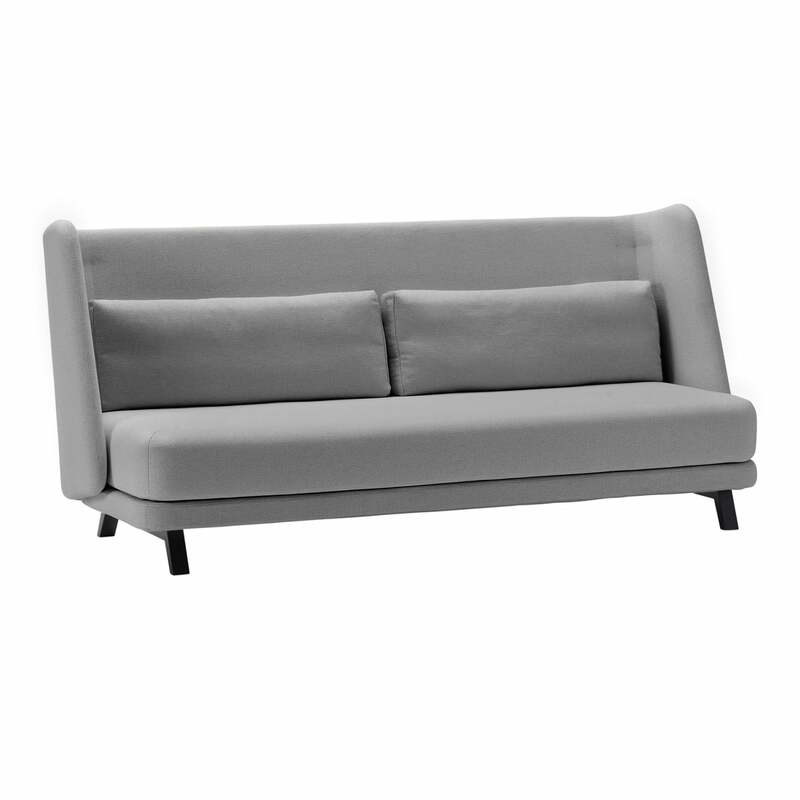 The Jason sofa bed consists of a foam upholstery with covers in different fabrics and colours. The rather massive construction is complemented by a filigree frame made of ash wood in natural or black. This gives the sofa a lighter look. Two pillows are included in matching covers. 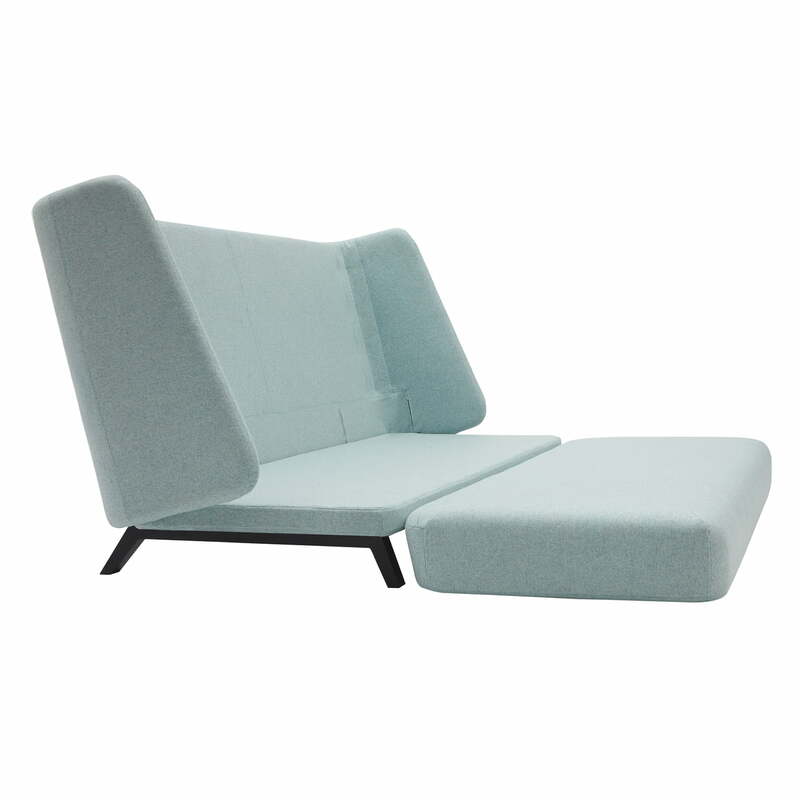 During the day, Jason makes a good sofa and at night, with a lying surface of 145 x 200 cm, it offers enough space for 2 people. 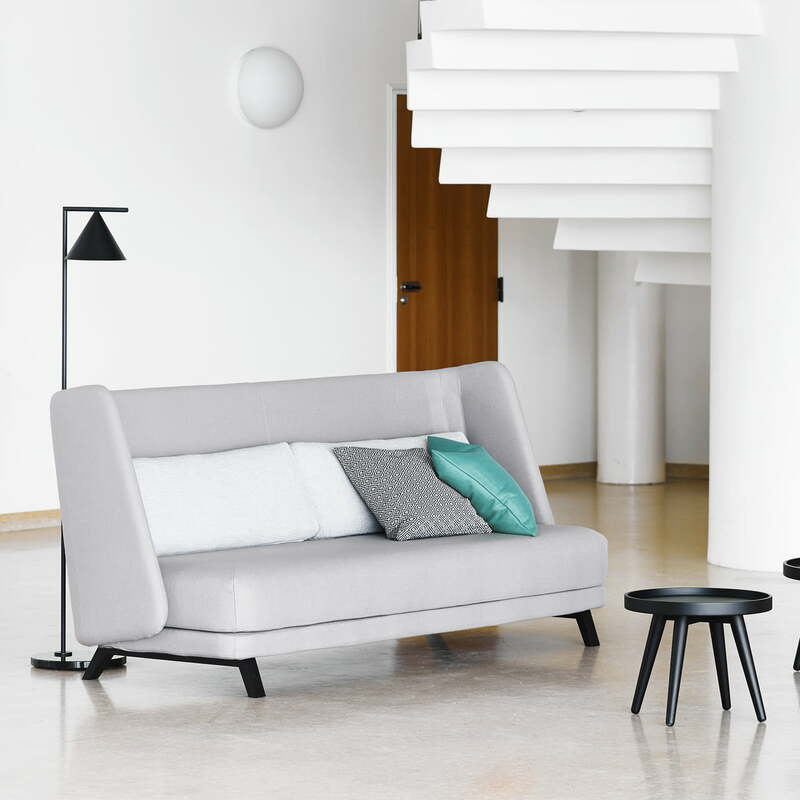 During the day, the Jason sofa bed from Softline makes a good sofa and at night, with a lying surface of 145 x 200 cm, it offers enough space for 2 people. The Jason sofa bed from Softline creates an intimate and cosy atmosphere. It looks good in the living room, in the lobby of a hotel or in the guest room.